Red hot Redzel does it again. 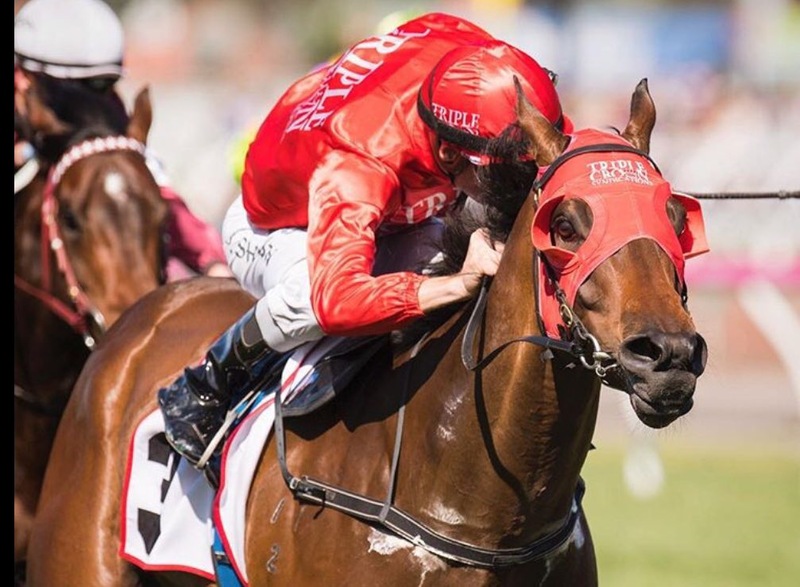 The revelation of the spring for Triple Crown Syndication is 4yo son of Snitzel – Redzel. 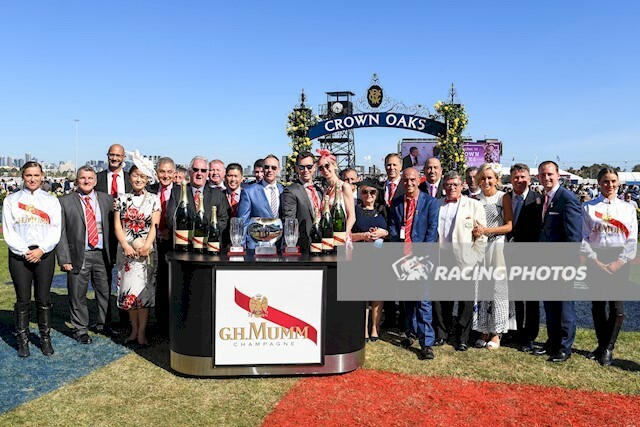 Contesting the Listed Mumm Stakes (1000m) down the Flemington straight on Oaks Day, Redzel proved to be too quick for his rivals as he lead through out to score a narrow win. In a premediated plan leading hoop Blake Shinn immediately headed to the outside rail when the gates crashed back. Not troubled by the fact the rest of the field headed towards the centre of the track Shinn continued to roll on Redzel in what has become his customary racing style of late. With clear track ahead of him and a full head of steam Redzel under the urgings of Blake Shin was able to hold off the fast finishing Terravista. “I just rode my own race, I flew the gates and got him into stride,” stated winning jockey Blake Shinn. Having scored 3 wins from 4 starts this preparation, including the Group 3 Resimax Stakes (1100m) and now the Listed Mumm Stakes (1000m) Redzel has shown he can match it with some of Australia’s best sprinters. Finishing a creditable 8th last start in the Group 1 Moir Stakes (1000m) in his only defeat this season co-trainer Peter Snowden firmly believes that Redzel has now proven he is up to the grade. “His Moir run was good, he’s just a horse that likes to lead and his sort of demeanour changed once he was crossed” said Snowden. Given a short breather in the middle stages, Shinn was able to drive him out to the line to hold on for another excellent win. With multiple options for Redzel in the autumn, including the Group 1 Lightning Stakes (1000m) down the Flemington straight and the Group 1 Galaxy (1100m) on Golden Slipper Day, Redzel will now head to the paddock for a well-earned spell and await his return to set the tracks alight again.